It’s been a difficult beginning for the new hip-hop musical Sylvia at the London theatre. 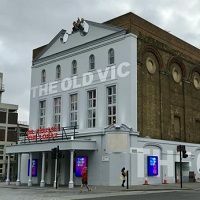 Sept. 3 was to have been the first preview performance of the show about suffragette Sylvia Pankhurst, but the previous day, director Matthew Warchus, worried about the readiness of the production, rebranded the evening as an open dress rehearsal. Then, just after the second act began, the lead actress, Genesis Lynea, became ill and the performance was stopped.